Your reading for Easter in a nutshell. Psychology, tech, design... dig right in! This week, we’re bringing you our bi-weekly listicle with tips to read over the weekend one day early, so that you have something fun to explore during the Easter holidays, should you find yourself thirsty for some new, interesting insights from psychology, tech, design, and more. Read on and make sure to let us know what’s on your Easter reading list! Do you know how to fail effectively? This article by Sarah Milstein published on Better Humans (which is, by the way, an amazing source of ideas and inspiration regarding human potential and self-improvement. Do check it out!) explores failure, its impact on human morale, and ways of turning failure into an advantage. With failure being something essential to innovation and discovery, this is an area definitely worth digging into. Have you heard of Flutter? 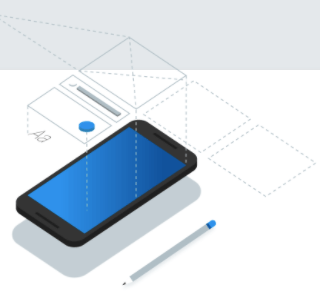 Flutter is Google’s mobile UI framework that allows you to create quality, beautiful native interfaces on iOS and Android, and super fast. 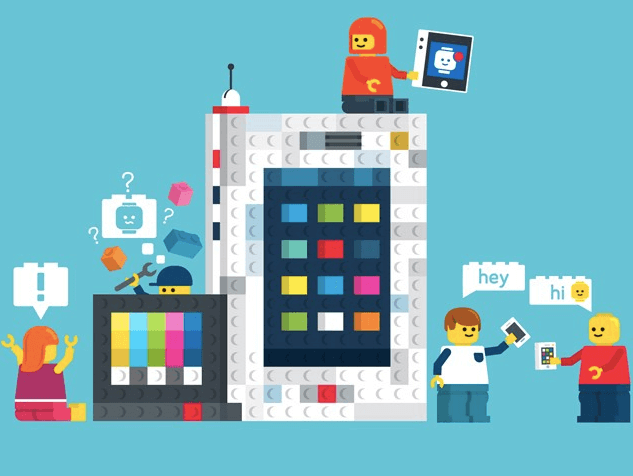 Flutter is also free, open source, and used by devs all over the world. Could a 1000 page employee handbook be handy? Sid Sijbrandij, the CEO and Co-founder of GitLab, talks about why his company has a 1000 page employee handbook (you can read all 1000 pages of it here) and how the handbook contributes to and enhances GitLab’s strong company culture, despite the fact that all 233 of their employees work remotely. The answers is YES, if you’re a tab-hoarder, if you get overwhelmed by all the SaaS apps cluttering your browser, or if you’re looking for something that can help you organize all your working tools better. Station neatly organizes all your web apps, divides them into groups, and helps you take distractions down to a minimum so that you can be even more productive. Everyone loves a good doc. Everyone definitely loves a good spreadsheet. Despite having a plethora of web-based apps at our disposal, let’s be honest, the majority of our work gets done in word documents and spreadsheets. Coda keeps all your team’s docs in one place, making collaboration easier than ever. How is technology saving the planet? Get to know Seabin, AIR-INK, Aquaponics, and a few more inventions that are, right now, helping us save the environment. This article by Naema Baskanderi explores what it’s like building a design system with a small team, provides a lot of tips for additional reading about the topic, and, most importantly, includes some very useful advice that might help you and your small team build a design system the next time around. So dive right in! Are you a fan of a soft Murmur? If you like working in public spaces but oftentimes find them too noisy and distracting, Gabriel Martin’s project might be the next big thing for you. A Soft Murmur provides ambient sounds that wash away distractions and help you focus and streamline your energy. 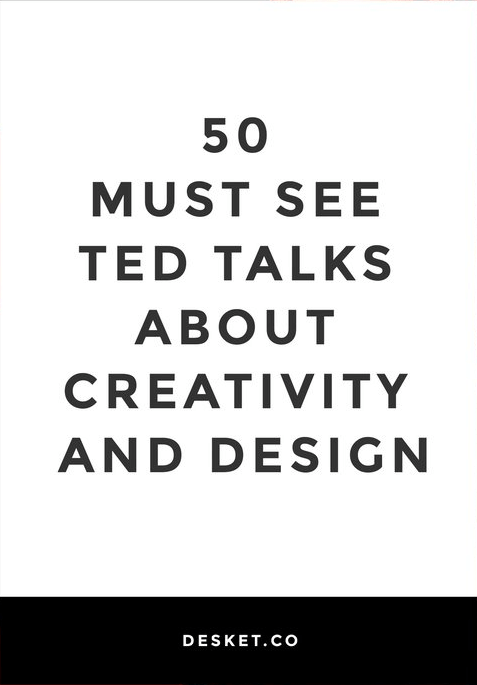 If your creative muse hasn’t quite been up to par recently, give these TED talks a watch to spark it right back up. Send us your recommendations as well — we’re always keen to explore new sources of inspiration. And now it’s your turn! Tell us what sparked your interest online this week. Let us know what you’ve learned so we can learn as well. Tweet us right here! Enjoyed our Bits for the Weekend? Then feel free to help us spread the word by sharing this post!